Tom has over 36 years of diverse drilling, completion, work-over and well abandonment experience in a variety of harsh and challenging environments, including offshore, frontier, arctic, jungle and sour gas conditions. He has been an Alaska Registered Professional Engineer since 1992, also holding advanced MBA and MS Environmental Engineering Degrees. 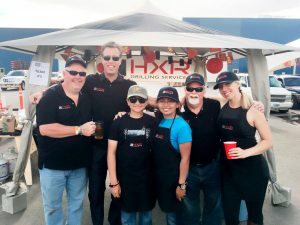 He has planned and executed many exploration and development drilling projects around the world working for Amoco, ARCO Alaska, and ConocoPhillips, including projects in the lower 48, Alaska, Norway and Indonesia. 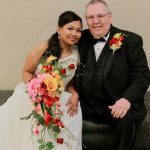 In past years, Tom has also served as Alaska Section SPE President, Petroleum Club of Anchorage President, and State Chairman of the Alaska Republican Party. Tom is a 1980 Petroleum Engineering graduate of Montana Tech. I joined the team in January of 2016. My most recent project since working at HXR has been my assignment as the Lead Drilling Engineer for the frontier natural gas exploratory drilling project near Glennallen, Alaska, operated by the Alaska Native corporation Ahtna Inc. Working as a Consultant / Contract employee for HXR, I enjoy the compensation package, as well as the flexibility the arrangement affords me. I can be more selective on the assignments that I work on, and I can work for more than one client or Operator at a time. They say variety is the spice of life, and in a way, I am fortunate to enjoy that variety at work as well as in this organization. When this long oil price slump finally ends, we expect to have many opportunities for challenging and rewarding assignments not just in Alaska, but also globally. For me and my family, living in such a special place as Alaska is a dream come true. We enjoy spending as much time as we can at our cabin located north of Anchorage in the back country. 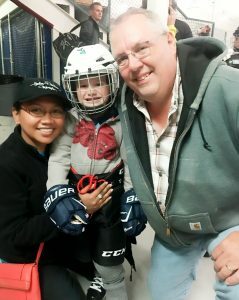 And we enjoy watching our kids and grandkids play sports including the most exciting high speed sport of ice hockey. In the summer, my family loves to go fishing, and since Alaska is the sport fishing capital of the world, we are truly blessed to have so many opportunities for catching numerous large fish! 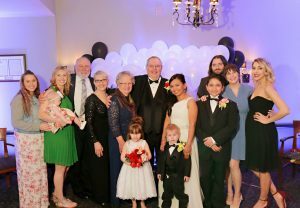 Having five children and three grandchildren provides us with many chances to enjoy and watch these kids grow up in The Last Frontier!